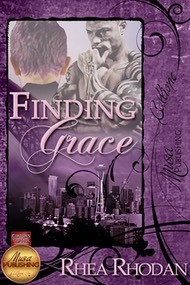 I'm thrilled to announce that�Musa Publishing�has awarded Finding Grace with its coveted�Editors' Top Pick�designation. It's a honor for which I am enormously grateful. See the golden medallion at the bottom-left corner of the cover? Cool, huh? "The Editors' Top Pick designation is given to books with that little extra piece of magic--extraordinary books in every genre. These books must be nominated by two senior staff members or the Editorial Director before being presented to the reader as our Editors' Top Picks."